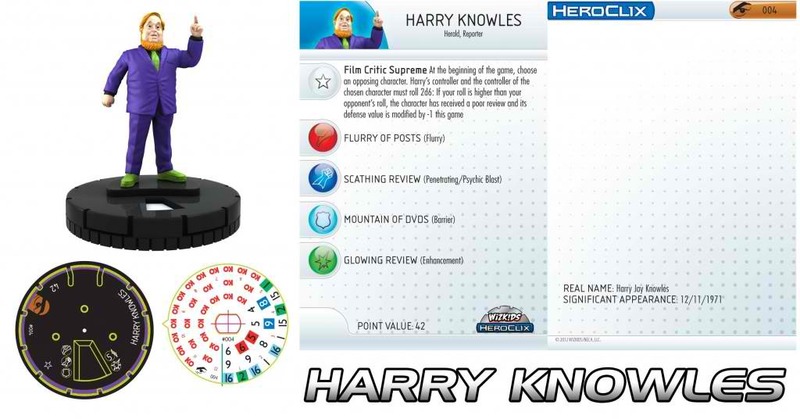 HeroClix has announced that they will be releasing a four-figure exclusive Comic-Con Episode IV: A Fan’s Hope DVD set! The sets will be available this July at some stores and a limited quantity will also be available at San Diego Comic-Con! 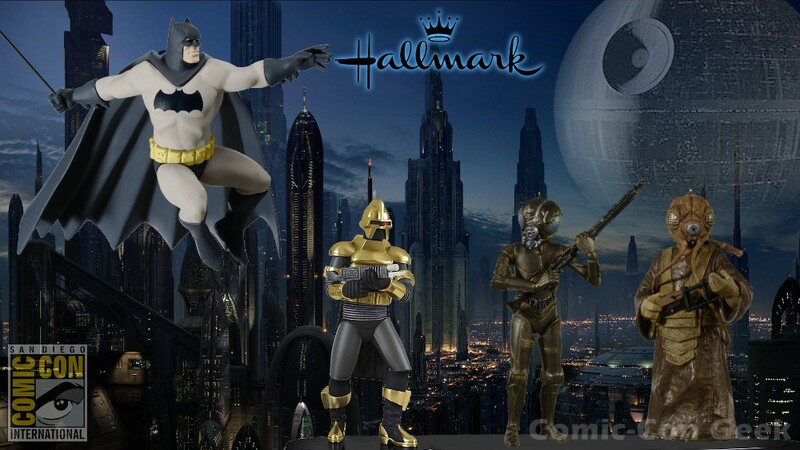 Visit the NECA booth if you want one of the Comic-Con Episode IV: A Fan’s Hope DVD and HeroClix Combo-Packs. The DVD is Region 1 encoded. 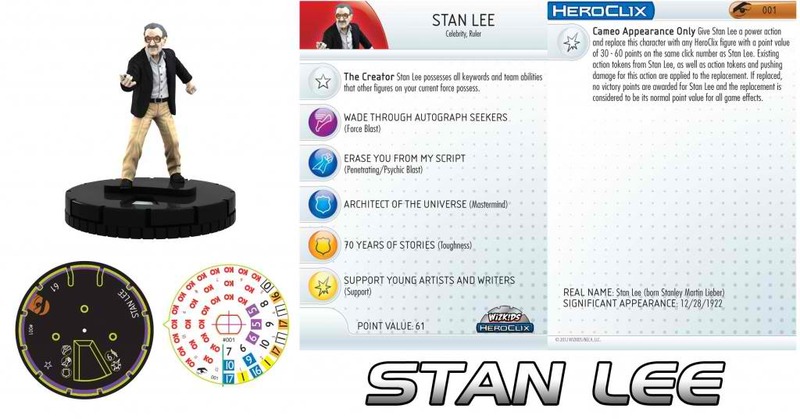 Note: This HeroClix Comic-Con combo pack should not be confused with the NECA action figure combo pack, which includes two of the noted visionaries above. The NECA action figure combo pack also contains a Region 1-coded DVD (United States, Canada, Bermuda, and U.S. Territories only!) and two action figures to re-enact all of your favorite moments from the movie! The Walking Dead Season 3 Preview Weekend — One Week Before Comic-Con 2012! AMC announced today The Walking Dead Season 3 Preview Weekend on Sat., Jul. 7 and Sun., Jul. 8 beginning at 11:30AM/10:30c each day. Airing just one week before Comic-Con, the two-day programming event will feature a marathon of all 19 episodes from the series’ critically acclaimed first two seasons, culminating with a Talking Dead live primetime special on Sun., Jul. 8 at 9/8c. The one-time-only airing of Talking Dead, hosted by Chris Hardwick (Nerdist), will be followed by a never-before-seen black and white version of The Walking Dead pilot episode at 10/9c. The special version of the series’ first episode was created specifically for fans of The Walking Dead, as it holds true to the original black and white comic book, written by Robert Kirkman. Throughout The Walking Dead Marathon, Hardwick will introduce each episode from the set of season three in Atlanta, giving viewers a glimpse of the new sets. Along with several cast members and producers, he will set up the storyline from each episode, and discuss the classic moments and unique characters featured. 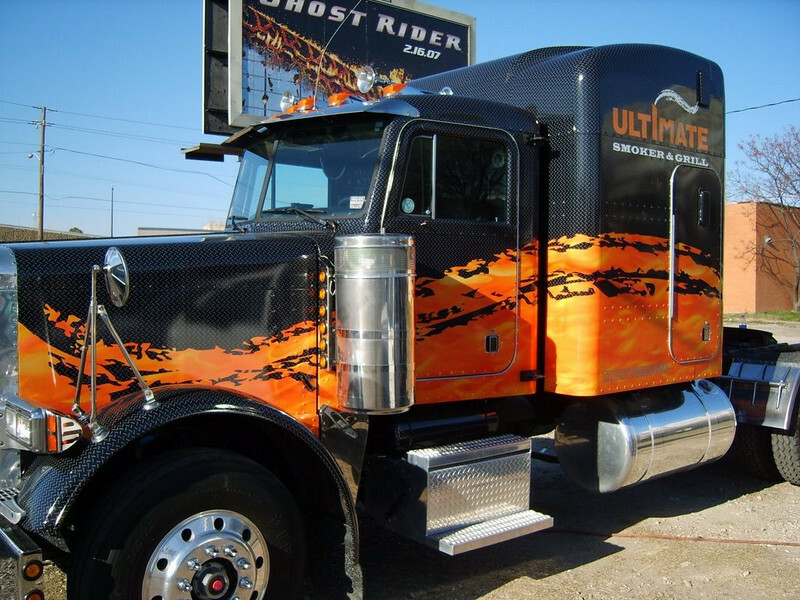 In addition, every episode with be wrapped with exclusive character and scene-specific content from the first two seasons, including behind-the-scenes footage and sit-down interviews with the cast. In the hour-long Talking Dead event, shot live in Los Angeles, Hardwick will give fans a first look at The Walking Dead Season 3, including a scene from the new season, and brand new video interviews with the cast, a tour of the new set and a sneak peek at the props and wardrobes featured in Season 3. Hardwick will also sit down with in-studio guests including the show’s executive producers and other celebrity fans. Viewers will get information on the show’s presence at this year’s Comic-Con, including a look at the construction of The Walking Dead booth, updates on AMC’s The Walking Dead Social Game, and other show-related news and topics. At one point during the live show, Hardwick will also provide a special code to viewers, which they can use to enter The Walking Dead Watch to Win Sweepstakes. The winner will receive a trip to Atlanta and a “stagger on” role as a zombie on the hit show. The on-air event will be complemented by activities online at amctv.com, where fans can find more exclusive behind-the-scenes videos and participate in Fan Favorite polls, which cover such topics as Fan Favorite Weapon, Fan Favorite Walker, Fan Favorite Walker Kill and Fan Favorite Survivor. The Poll winners will be announced by Hardwick during the Talking Dead live event Sunday night. The Walking Dead reigns as the most watched drama series on basic cable for Adults 18-49 and Adults 25-54. The series has garnered an Emmy® Award for Outstanding Prosthetic Make-up and a Golden Globe® Award nomination for Best Television Series – Drama, among other accolades. Critics have heralded the series as “the most suspenseful show on any network” (Boston Herald) and “the greatest thriller ever produced for television” (Entertainment Weekly). The series tells the story of the months and years that follow after a zombie apocalypse. It follows a group of survivors, led by police officer Rick Grimes, who travel in search of a safe and secure home. He-Man.org‘s SDCC Power Party will be at Hennessey’s in Downtown San Diego on Friday, July 13. VIP tickets are still available but are going quickly. Now is the time to think about all of the off-site events and parties during Comic-Con 2012! Hennessey’s is located at 708 4th Ave. The party starts at 7pm and goes until closing! The band, Past Action Heroes, will be playing from 9pm to approximately 1am! General Admission is free. VIP tickets get you access to the speakeasy, finger foods available from 8pm, and 5 drink tickets good for select draft beers and well brand drinks! Tickets are $40 per person. Come hang out with fellow He-Fans and She-Ravers, including Pixel Dan Eardley, Val Staples, Danielle Gelehrter and Eamon O’Donoghue from Roast Gooble Dinner, as well as a number of creators from the worlds of He-Man and She-Ra. The VIP access to the speakeasy also gives you a place to duck away from the crowd, have a place to sit and enjoy a few snacks or to order a meal from the Hennessey’s menu (they have some great food, so check out their menu), as well as enjoy drinks! Plus, no doubt many of the special guests who will attend the show will be relaxing in the speakeasy. So you don’t want to miss out! Please note the finger foods are there as snacks for the entire VIP crowd, not there as your meal. So if you are really hungry and/or haven’t eaten a meal before attending, please be sure to order off the menu! There’s a limited number of VIP access packages, so first-come-first-serve. And we can’t wait to see you all at SDCC! The time has come for all of you that have NOT already purchased badges/passes to Comic-Con 2012! Remember, you must already have a Comic-Con Member ID and it must be confirmed! All others, will only waste your time as the system will not permit you to complete your purchase. Remember that there are only 5000 single-day (1-day) badges/passes available! These badges/passes will go SUPER FAST! Expect to login promptly at 8am PT! You snooze, you lose… and this time it’s for good. One last reminder, if clicking the link doesn’t work, try copy-and-pasting the link into your browser OR navigate there manually OR have the link bookmarked in your browser PRIOR to the sale. Well, GOOD LUCK and see you at Comic-Con! Please keep in mind that cancelled and returned badge inventory is very limited. There are only 5,000 single day badges for sale. The resale will begin on May 31st, 2012 at 8:00 a.m. Pacific Time (PT). There will be no link provided on any social media sites to access the sale directly. The link for this resale is: located in your email! Go check it out now! Please note, this link will not be active until 8:00 a.m. PT. If you click this link early, you will receive a “404 – NOT FOUND” error page and you will need to close your browser window and click the link again at or after 8:00 a.m. PT. We recommend that you bookmark this link prior to the sale, copy and paste it into your browser, or manually type in the URL. To verify the Member ID and last name you will use to sign-in to the EPIC online badge system, please visit https://secure2.comic-con.org/memberid/ and login to your Member ID account. Your correct EPIC login info will be displayed at the top of the page. MattyCollector’s Comic-Con 2012 Voucher Pre-Sale is TOMORROW! MattyCollector‘s San Diego Comic-Con Voucher Pre-Sale is TOMORROW, May 30, at 9am PT (12pm ET). Remember that everything is first-come, first-served so BE PREPAREDif you plan on pre-ordering your items! Mattel will only sell a limited amount of items for the pre-sale and that there is a limit of 6 per product and per person (Don’t be greedy!). All items MUST be picked up by 7pm on Saturday, anything left over will be sold on Sunday (ouch!). Anything left over after Sunday will be available on MattyCollector.com on Monday, July 23rd at 9am PT (12pm ET). You can check out most of their items here if you haven’t already done so. A few photos of the exclusives have not been released yet. Hopefully, they will be soon. Matty Collector’s press release follows. SDCC is right around the corner and, as we’ve done since 2010, we’re going to offer a limited amount of products to be pre-ordered here at MattyCollector.com for pick-up at San Diego Comic-Con. It’s first-come, first-served and there are no promises you’ll be able to purchase a voucher for every product. But once you’ve got your voucher, you’re guaranteed to get everything at SDCC! Be here at MattyCollector.com on Wednesday May 30th at 9 a.m. PT (noon ET). Choose the items you want and add them to your cart. There’s a purchase limit of 6 units per person per product, on all products. Your credit card will be charged and a confirmation email (voucher) will be sent. To redeem your voucher for the specified products, you must present a printout of the email confirming your order (voucher), along with a photo ID, your 2012 San Diego Comic-Con badge, and the credit card used for this transaction in person on Thursday July 12th, Friday July 13th, or Saturday July 14th from 7 AM – 11 AM or 3 PM – 7 PM in the Torrey Pines room at the Marriot San Diego Hotel and Marina, which is just next door to (and connected to) the San Diego Convention Center. If you’re only attending San Diego Comic-Con on Sunday July 15th, this option is not available to you. If you don’t pick up your product by the end of the show on Saturday July 14th, your product will go into the products available for sale at the show on Sunday. You may be able to purchase it then, but there are no guarantees. The voucher pre-sale ends June 14th at 11:59pm PT, however product is subject to availability so shop early for best selection. All sales are final. There are NO REFUNDS so be sure you can personally pick up your purchase(s) at SDCC no later than Saturday July 14th. Products cannot be shipped. This option is for pick up at SDCC only, and only available to SDCC attendees (badges will be required). The voucher pre-sale is the best way to guarantee you get all your most-wanted items, but if you miss this sale or the product you want is sold out for pre-sale, all of them will be available for purchase at our booth at SDCC on a first-come, first-served basis. Not going to SDCC? We’ll have limited quantities of some items available here at MattyCollector.com on Monday, July 23rd at 9 a.m. PT (noon ET). We’re still working out the final list of available items but we’ll definitely have Vykron™ packed in either spaceman or military warrior garb. That’s everything for now! Remember, the sale starts Wednesday, May 30th at 9 a.m. PT (12 noon ET). Want an email reminder? Click here to register. Or, join me on Facebook, Twitter and in our Fan Forums and you’ll get reminders there, too. And one last thing… Scott “Toy Guru” Neitlich is posting video previews on the MattyCollector.com YouTube channel , so check it out and subscribe so you don’t miss a single one! 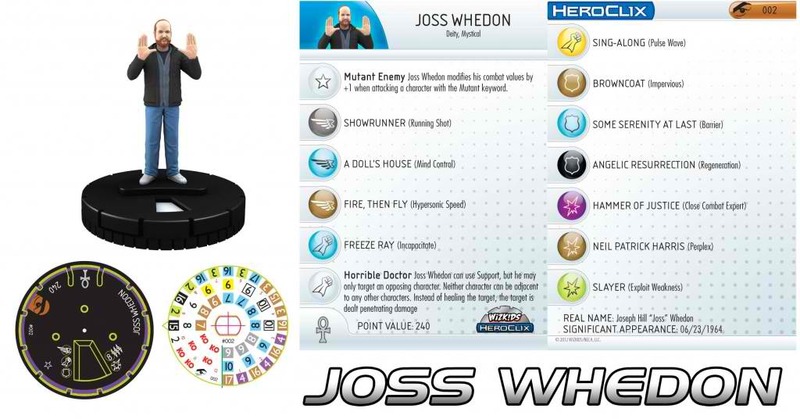 Factory Entertainment Reveals Their San Diego Comic-Con 2012 Exclusives! Factory Entertainment has four San Diego Comic-Con Exclusives available this year. The first item is the Men in Black Worm Guy Shakems™ Premium Motion Statue. It stands 7″ tall, limited to 500 pieces and will be $25. 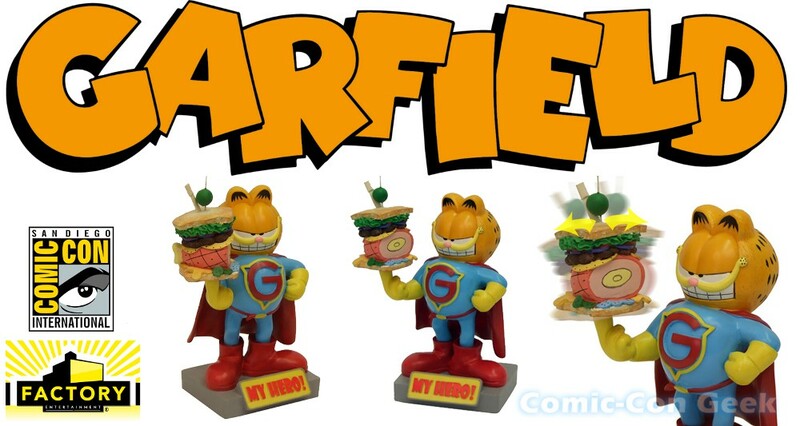 The next item is the Garfield Shakems™ Premium Motion Statue which stands 7″ tall, limited to 500 pieces and costs $25. A Shakems™ Premium Motion Statue of Uncle Martin from the classic sitcom My Favorite Martian is the third item that will be available at Comic-Con. It stands 7″ tall, limited to 500 pieces and will be $25. Finally, we have the 1/2-size scaled edition of the Mount KISSmore Polystone Sculpture which features the Demon, The Starchild, The Spaceman and The Catman! The “desktop” version measures 7″ wide x 5″ tall, limited to 500 pieces and will cost $35. All items are available while supplies last and you will not be charged until your order ships after the convention! Now here are the exclusives! Available as an early bird exclusive at this year’s Comic-Con. Our fabulous Worm Guy Shakems Premium Motion Statue debuts here! Featuring a whimsical and oddly pleasing wobbling motion, the distinctive MIB Worm Guy alien is shown taking a coffee and cigarette break. He (She? It?) stands 7” tall and comes in a full color window box. Get it at the show before anyone else! Please note – after Comic-Con this item will not be offered in the US again this year. 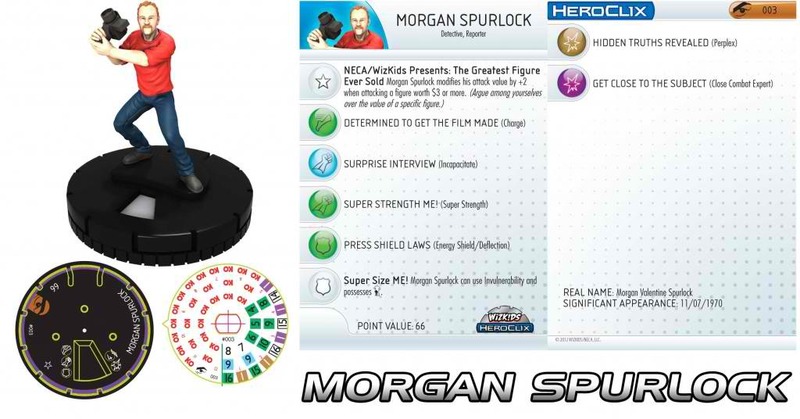 A Shakems Premium Motion Statue for the hero enthusiast! We’re proud to present the acerbic cat, Garfield, in his superhero form. A highly detailed polyresin collectible, this mighty piece stands 7” tall. His huge sandwich, a light snack for Garfield, is mounted on a spring so that it wobbles on the end of his fingertip tantalizingly! Supplied in a full color branded window box, this 2012 Convention Exclusive is a limited edition of only 500 pieces. A Shakems™ Premium Motion Statue of Uncle Martin from the classic sitcom in a convention exclusive black and white deco. A highly detailed polyresin collectible, standing 7” tall, Uncle Martin is dressed in his signature metallic flight suit and is standing on a sculpted earth shaped base as an homage to the show’s opening credits. A fitting tribute to one of the most influential rock and roll bands of all time. KISS! Featuring the Demon, The Starchild, The Spaceman and The Catman, this polystone monolith is handcrafted in granite effect resin and can be displayed free standing or wall mounted. 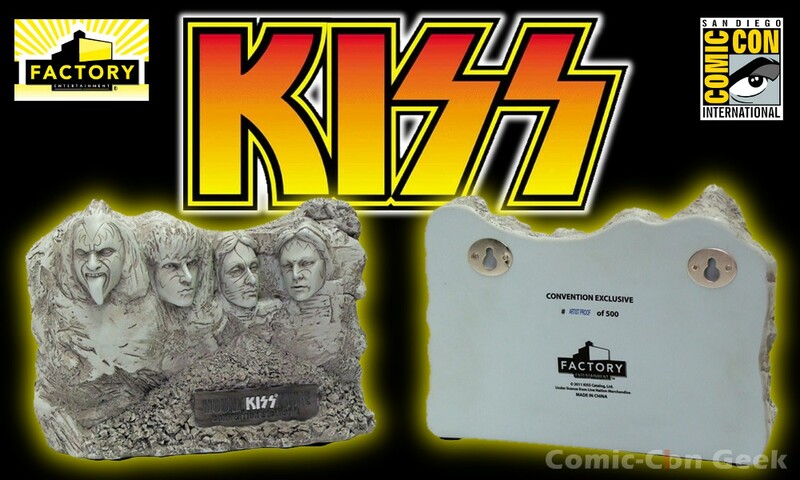 This convention exclusive is a scaled half-size version of our full-sized Mount KISSmore collectible (available here). A handy desktop size, it measures 7” wide x 5” tall. It’s the end of the world as BUTTERFINGER® knows it! Counting down the days to the Mayan prophecy predicted for December 21, 2012, Butterfinger today embarks on a nationwide tour with the Butterfinger BARmageddon News Network (BBNN) news van. Built to collect evidence, the BBNN news van features state-of-the-art news equipment and never-before-seen devices with potentially supernatural capabilities. Armed with early evidence of BARmageddon, such as video of last month’s bizarre crop circle in Kansas to eyewitness accounts of the disappearance of Butterfinger candy bars, the BBNN is taking the strange tales from Manhattan, Kansas, to Manhattan, New York, the media capital of the world. A news network like no other, the BBNN is dedicated to uncovering real-world footage of BARmageddon perils – any evidence of the end of the world and to uncover the truth behind the recent Butterfinger bar disappearances across the country. Interviews and incredible stories will be available to the public via exclusive BBNN reports within the BBNN on Yahoo! Screen, Yahoo!’s video destination. Viewers can access the BBNN subpage on www.ButterfingerBARmageddon.com. The BBNN news van will travel North America from coast to coast, making stops along the way at the United States’ kitschiest—and sometimes most revealing—roadside attractions and unexplained mystery sites, including Roswell, the Petrified Forest in northeastern Ariz., the waterfront Blue Whale structure of Catoosa, Okla., and the world’s largest basket in Newark, Ohio. The BBNN will operate with two expert conspiracy theorists, Jason and Adam, at the helm, ready to keep Butterfinger fans everywhere informed about potential threats to their beloved bars and reveal evidence of the end of times. Along the way, lucky consumers who spot the van will get a chance to try the new Butterfinger Bites, easy to eat bite-size pieces of the beloved Butterfinger candy bar, perfect for road trips. The final stop for the BBNN will take place on the west coast in mid-July, when masked men and the true geniuses behind every known conspiracy theory in the world convene in San Diego, at the largest comic book convention of its kind. There, Butterfinger will reveal its latest BARmageddon news and findings. Among the exciting news stories to be covered by the BBNN – strange weather patterns taking place the world over, a troupe of Silicon Valley moguls declaring intentions to extract water and precious metals from orbiting asteroids, a 150-pound, 450-million-year-old fossil nicknamed “Godzillus” that has scientists stumped over its ancient origins, and of course, the unprecedented disappearance of Butterfinger bars from four well-known cities – Milan, Moscow, Montezuma and Manhattan – coincidentally occurring as the world’s first crop circle featuring a Quick Response Code (QR Code) appeared in the center of a Manhattan, Kansas wheat field. Butterfinger fans and conspiracy theorists with any BARmageddon stories to tell or end-of-the-world mysteries should submit their news tips to the BBNN at Facebook.com/Butterfinger. Butterfinger is a one-of-a-kind candy bar with the crispety, crunchety, peanut-buttery taste people love. No other candy bar comes close to the intense flavor and texture of a Butterfinger. Keep up with the latest news about Butterfinger at Facebook.com/Butterfinger or follow its sweet tweets at Twitter.com/Butterfinger. Yahoo! (YHOO) is the premier digital media company, creating deeply personal digital experiences that keep more than half a billion people connected to what matters most to them, across devices and around the globe. And Yahoo!’s unique combination of Science + Art + Scale connects advertisers to the consumers who build their businesses. Yahoo! is headquartered in Sunnyvale, California. For more information, visit the pressroom (pressroom.yahoo.com). Comic-Con 2012 Returned Attendee Badge Resale Info! Register by TODAY before 5:30pm PT! Remember, TODAY (May 24, 2012), is the LAST DAY to register for a Comic-Con Member ID if you would like to participate in the Attendee Badge Resale. Also remember that is does not close at midnight, but at 5:30pm PT! Comic Con, International has not yet released the actual date of the sale, but keep and eye on their Twitter account, Facebook page and their website for further details! They didn’t have a whole lot of returned/refunded badges to put back on sale so they made all badges to be available single-day (1-day) badges. The badge resale will only be available to people who don’t already have a 4-day or a Saturday badge. Good Luck to Everyone! Comic-Con 2012 badges are sold-out. There will be a resale of cancelled and refunded badges shortly. To be notified of the badge resale date, please sign-up for a Comic-Con Member ID and be sure not to “opt-out” of email correspondence. The Comic-Con Member ID system will close at 5:30 pm Pacific Time (PT) on May 24, 2012 to prepare for the badge resale. You must sign-up for a Member ID and confirm your email before this date to participate in the badge resale. Only those who have not purchased or registered for a Comic-Con 2012 4-day badge or Saturday badge will be allowed to participate in the resale. Since we received so few returned Comic-Con 4-day badges, we decided to split them into single day badges to accommodate more people who want to attend this year. Comic-Con will have 5,000 single day badges available for purchase. To receive an email notification of the resale date and time, sign-up for your Member ID before May 24, 2012 and be sure not to “opt-out” of email correspondence from Comic-Con. We are not taking a wait list for returned badges or badge resale notification. Everyone who intends to purchase, apply, or register for a Comic-Con badge must have a valid and confirmed Comic-Con Member ID. This includes attendees, volunteers, professionals, trade professionals, and members of the press. Please visit http://www.comic-con.org/cci/cci_reg_memberid.php for details.